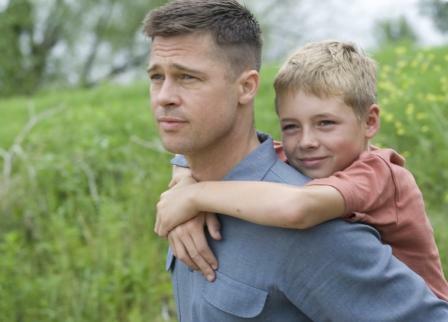 Brad Pitt and Laramie Eppler in "The Tree of Life." Photo: Fox Searchlight. Terrence Malick’s long-awaited family drama “The Tree of Life” will have its local debut Wednesday, June 1 at Walker Art Center. The film is set to have its world premiere at the Cannes Film Festival in May. Producer Bill Pohlad will introduce the film's Walker screening, according to the museum’s film and video curator, Sheryl Mousley. "We're very excited to be presenting the premiere of this much-anticipated film," Mousley said. terms with their challenging relationship. 13. “We thought it would be nice for people to see them again in 35mm,” Mousley said. “Badlands” (1973) will show Friday, May 13 at 7:30. “Days of Heaven” (1978) follows Sunday, May 15 at 3, “The Thin Red Line” (1998) Friday, May 20 at 7:30 and “The New World” (2005) Saturday, May 21 at 7:30 p.m.
when they become available on April 29. The Walker box office line is (612) 375-7600.